Routing, route scheduling, and route optimization are all critical processes for creating reliable and cost-effective routes. Those three processes all sound like the same thing, but each process is actually a distinct concept, especially route optimization. Knowing the difference between route optimization and routing/route scheduling will help you reduce fuel expenses, deliver more stock with the same number of vehicles, and make your delivery operations more efficient overall. Isn’t that what you want? Routing (also called route planning) can be defined as the process of creating the most cost-effective route by minimizing distance or traveled time necessary to reach a set of planned stops. Routing is a critical process of logistics systems, especially due to the high competition and narrowing margins in the global market. Routing of goods and services incurs huge costs for vehicle operation, fuel, labor and maintenance. Route scheduling is the process of assigning an arrival and service time for each stop, with drivers being assigned shifts that adhere to their working hours. The main objective of both routing and route scheduling is to cut down on your expenses, such as mileage and vehicle capital costs. But other objectives come into play as well. For example, in school bus routing and route scheduling, the objective could be to minimize the total number of student-minutes on the bus. For food delivery, the objective is to deliver within the time period that you promised to your customers. Every industry has different goals. Route optimization is the process of planning one or multiple routes, with the purpose of minimizing overall costs, while achieving the highest possible performance under a set of given constraints and considering other routes which share the same purpose. What Do Companies Use Route Optimization For? What’s the Difference between Route Planning and Route Optimization? 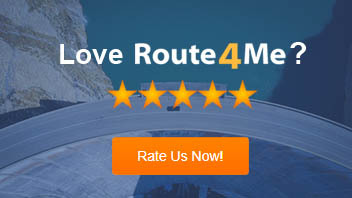 As opposed to route planning, route optimization includes additional factors, such as schedules, time constraints, weight capacity, road restrictions and many more. Therefore, we can state that route optimization is the action of solving a complex routing problem. The terms route planning and route optimization are sometimes used interchangeably. However, the increasing complexity of route constraints and the real world uses of route planning systems require that the two terms be defined separately, as they describe different realities and a different set of practices. You need to use all three of these processes to make the most efficient routes, but if you plan your routes manually, using all three processes is ridiculously meticulous and time-consuming. Well, first you have to map out every single stop. If you only have a couple stops you need to visit in a day, this shouldn’t be too difficult. But if you have many more stops than that, don’t make any plans for later. You’ll be stuck at the computer for a while. Then, you need to calculate the amount of time it takes to visit each stop. There are a lot of factors to consider here: traffic conditions, distance traveled, possible interruption along these routes, etc. How are you going to account for all that? Finally, you have to figure out which routes will allow you to get to all your stops in the shortest amount of time possible (the shortest route in terms of distance isn’t always the quickest, making this whole process even more confusing) and distribute each route to your drivers in a clear way that they’ll easily understand. Whew, just thinking about all that is enough to make a man tired. The worst part about this process is it’s so tedious that it’s easy to lose focus and make a mistake along the way. That could ruin hours of work. GPS devices will help you keep your drivers on track, but they have flaws as well. They don’t allow you to update a route once a driver has already left the depot, so if something changes last-minute there’s not much you can do. Using Google Maps for traffic updates is helpful as well, but that’s only good for current traffic status – it doesn’t predict future traffic. That’s why you need routing optimization software. With our software solution, you’ll be able to plan 100% optimized and accurate routes instantly. All you have to do is plug in the addresses you need to visit and the number of drivers you have, and we’ll give you the prefect set of routes for your situation. Plus, you’ll have the ability to remotely change routes on the fly and predict future traffic. You’ll save time and make more money. 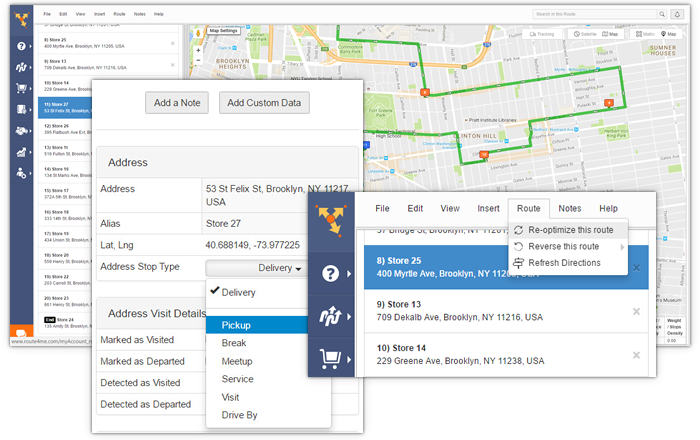 A delivery route planner can also help you manage multi-drop and multi-depot tasks, as it automatically factors in the wide range of constraints that are critical to ensuring better routes and more timely deliveries, such as time windows, the drivers’ hours of service, avoidance zones, and turn restrictions. So, now do you understand the difference between routing, route scheduling, and route optimization? If not, let us know in the comments section below, and we’ll be happy to break it down for you. what are the factors of considered in route planning?